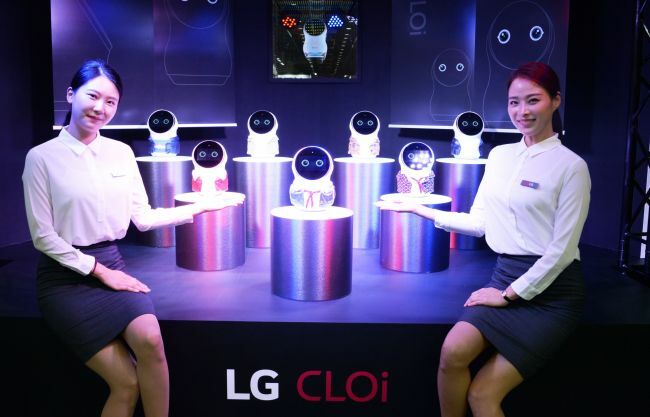 A total of 729 tech companies from 15 countries participated in the 2018 Korea Electronics Show that kicked off Wednesday, showcasing how technological collaboration among different industries can bring about changes to consumers’ everyday life with innovative products. The KES is the biggest information technology show taking place every October in Seoul, inviting thousands of tech industry officials, analysts and media outlets to introduce the latest trends in the tech world and showcase new technologies. The three-day event runs separate forums on the display and semiconductor industries on the second day. 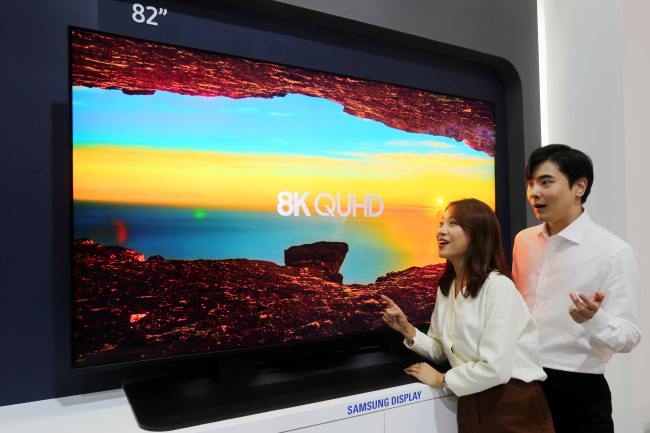 Some 434 tech leaders including Samsung Electronics, LG Electronics, SK hynix, Samsung Display and LG Display took center stage of the KES, exhibiting the most cutting-edge products and services. Samsung Display captured visitors’ attention with the introduction of haptic on display technology, or HoD. By embedding haptic sensors in organic light-emitting diode displays for media contents such as holograms and virtual reality, the company maximized the feeling of finger touches on OLED displays that will help double immersion into content like mobile games, virtual reality and augmented reality. An OLED display specialized for VR content with 1,200 pixels per inch was exhibited at the Samsung Display booth, winning a slew of attention. The panel maker also presented fingerprint on display and sound on display technologies that would soon be used by smartphone makers to replace physical buttons and make phones with nearly full OLED screens and almost no bezel. “I have confidence in all of the technologies and display products we are presenting today at the KES,” said Samsung Display CEO Lee Dong-hoon. Jochen Schaefers, manager for supply chain management at Mercedes-Benz based in Stuttgart, flew to Seoul to take a tour of the KES with a group of Korean tech industry leaders, including Samsung Electronics CEO Kim Ki-nam. Currently, Mercedes-Benz is purchasing batteries for electric vehicles from Samsung SDI and LG Chem, OLED panels from LG Display and headlights from LG Electronics, the Benz official elaborated.